In this formal Newport mansion Garden, a water garden extends from a custom stone-carved statuary, where a statue of Pomona, the God of Fruitful Abundance, pours water out onto water table inspired by Villa Lante upon which wine chills while diners dine. 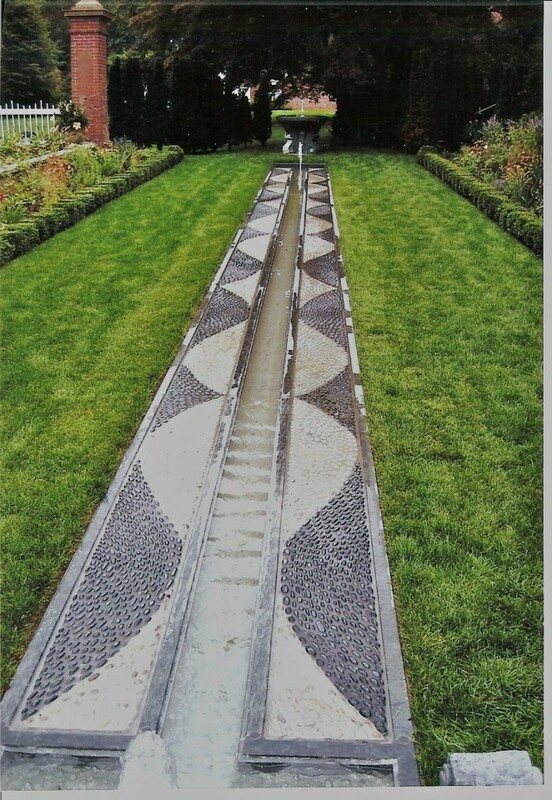 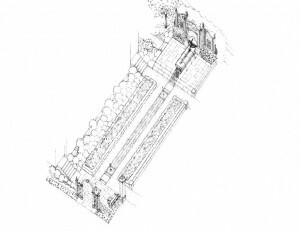 Water runs down the water table and on through a custom-carved Gargoyle spout, landing in pool, at which point it flows beneath a small bridge below a walkway, and then down a long garden rill framed by a custom pebble mosaic, terminating in yet another garden pool. 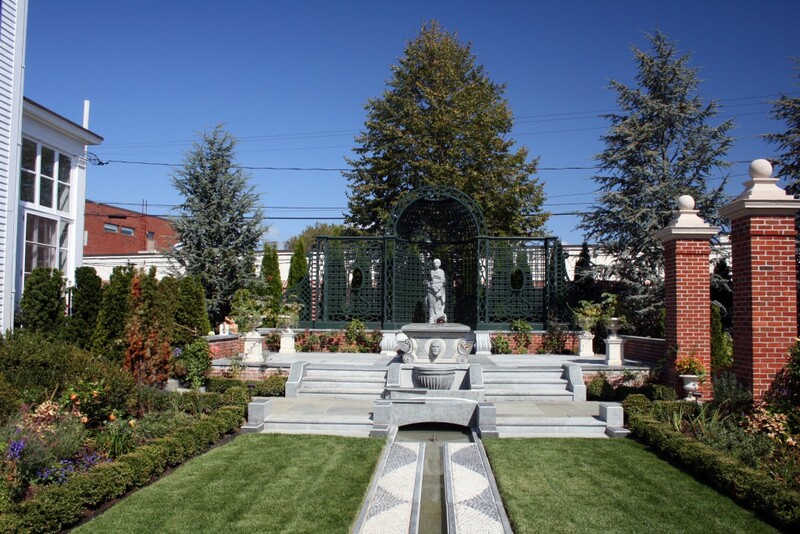 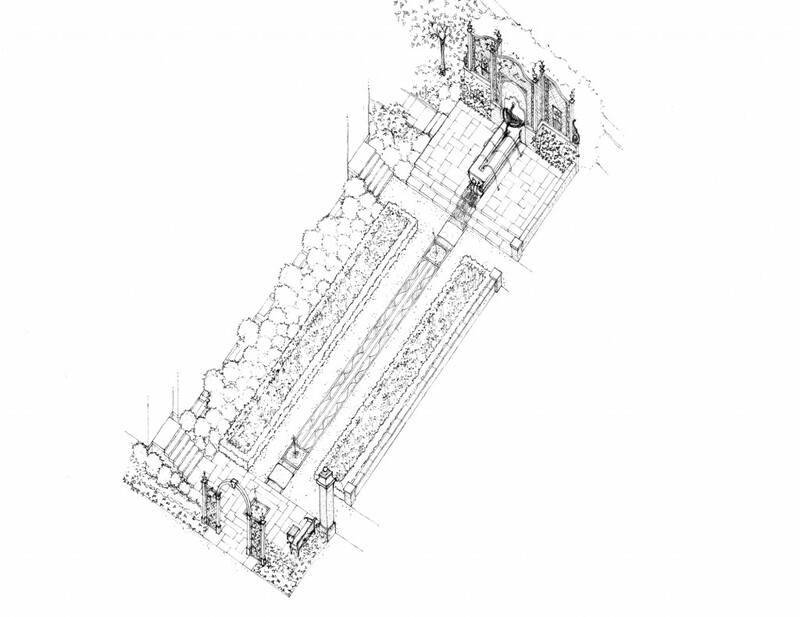 The carved stone and formality of the garden support the Ogden Codman home, complementing the period of the house as well as the client’s personal style. A circular pebble mosaic is located in the center of the kitchen garden. 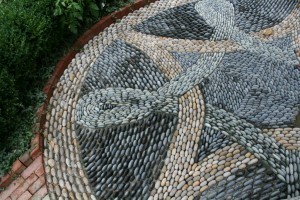 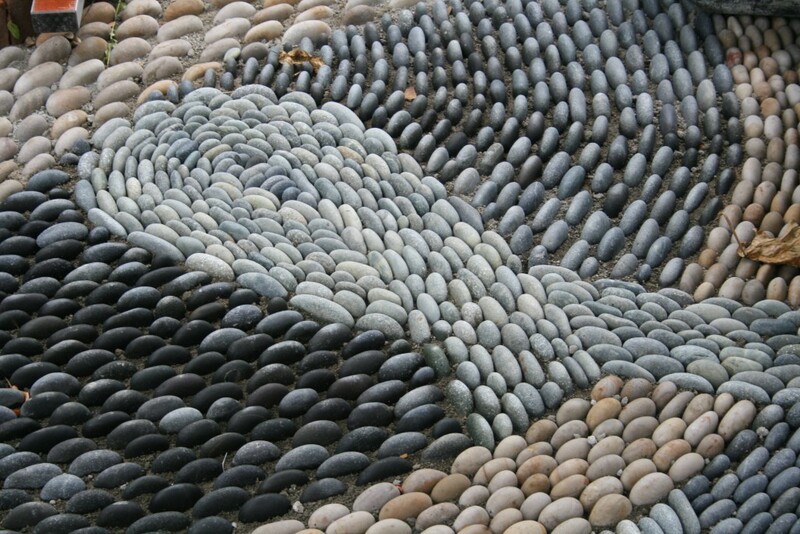 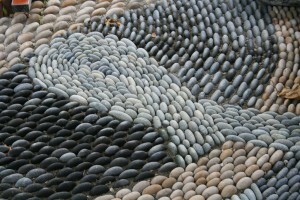 The knot of the pebble mosaic is reflective of the corresponding kitchen knot garden. 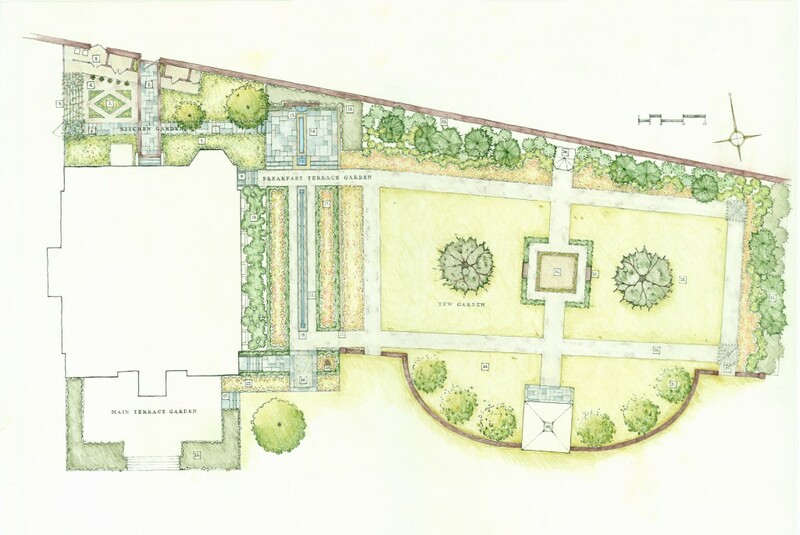 This project was completed while working for Tupelo Gardenworks, LTD.